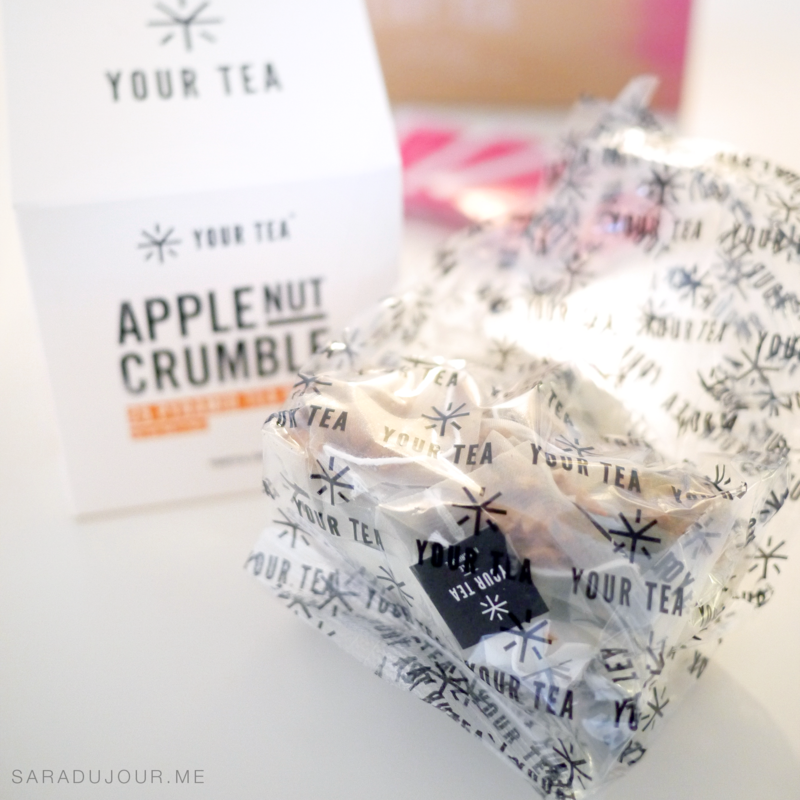 I’ve talked about YourTea briefly in my September/October favourites post. 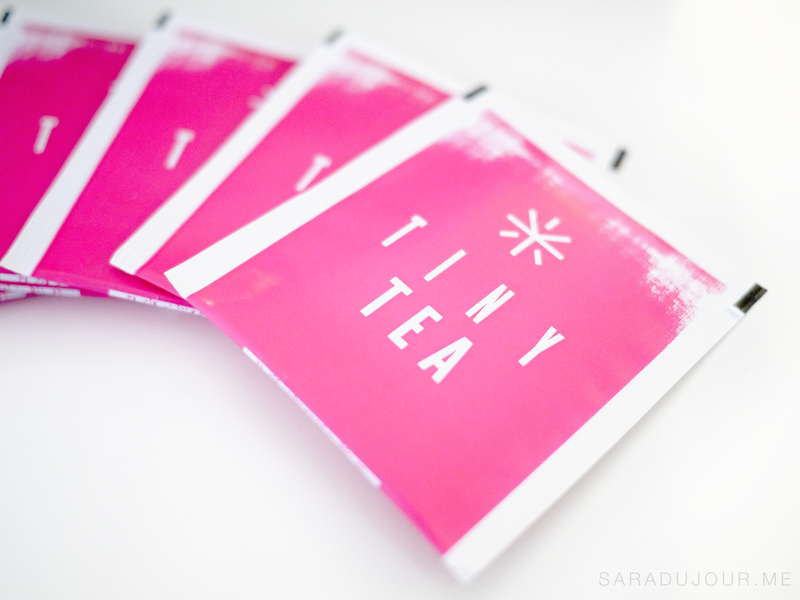 I discovered them last month, and the first time I ordered from them, I tried Tiny Tea (their original product and bestseller) plus Skin Magic Tea and Sleep Tea. 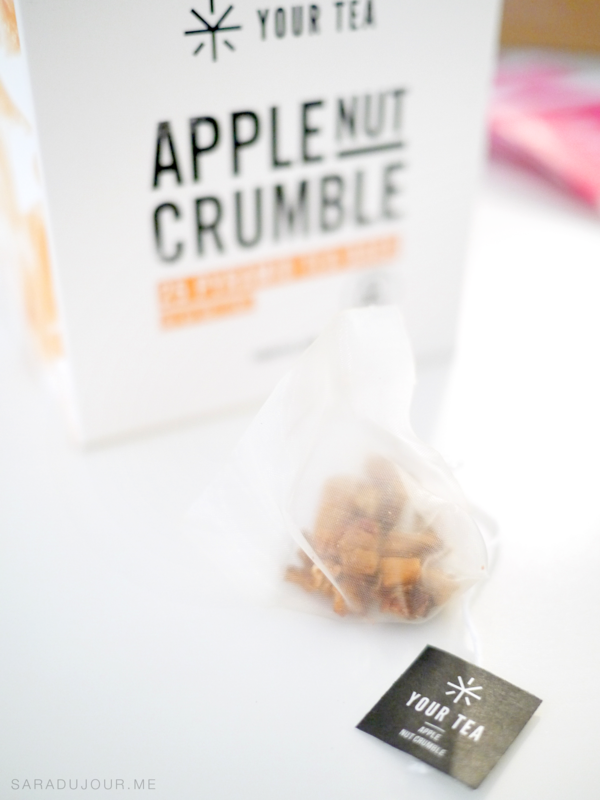 This time around, I ordered more Tiny Tea (my absolute favourite – more on that later) and also ventured into one of their café teas: Apple Nut Crumble. Since I ordered in October, they had a promotion on where they gave away a free Tea Face with every purchase, so I also got that. YourTea makes natural teas designed for all kinds of purposes, like boosting your mood, clearing your skin, helping with fertility, curing a hangover, giving you energy, and more. Tiny Tea contains ingredients rooted in Chinese medicine, like Jue Ming Zi, He Ye, Shan Zha, Lai Fu Zi, Chen Pi, and Mai Ya. With ingredients like these, expect it to taste herbal, not like a yummy flavoured tea. But it’s worth it! I’ve been drinking one tea bag each morning for about a month now, and I can say that its many claims are not unfounded. 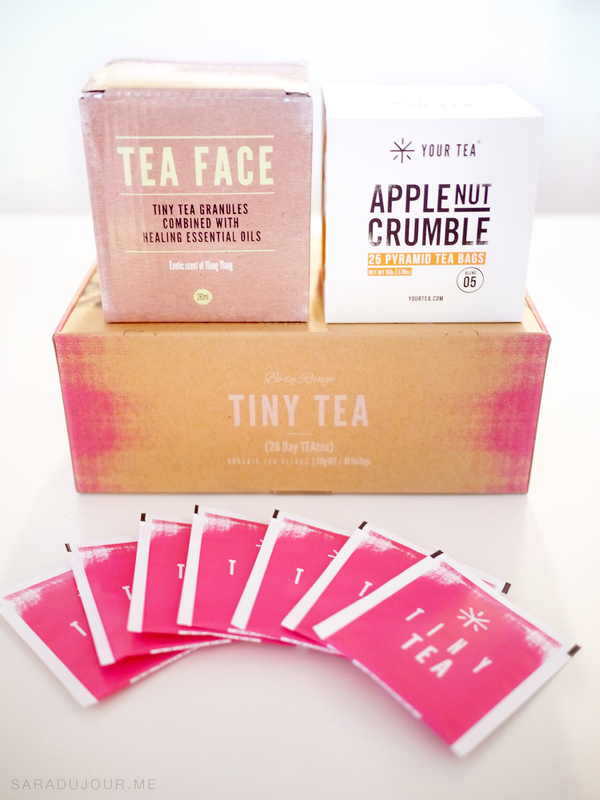 Tiny Tea is meant to reduce bloating, improve your digestion, suppress food cravings, help clear your skin, and boost your energy. Because of these features, many people report weight loss from drinking it. I really like it, particularly for the bloating benefits. I noticed that when it was my time of the month, I didn’t bloat nearly as much as I typically do. Victory! 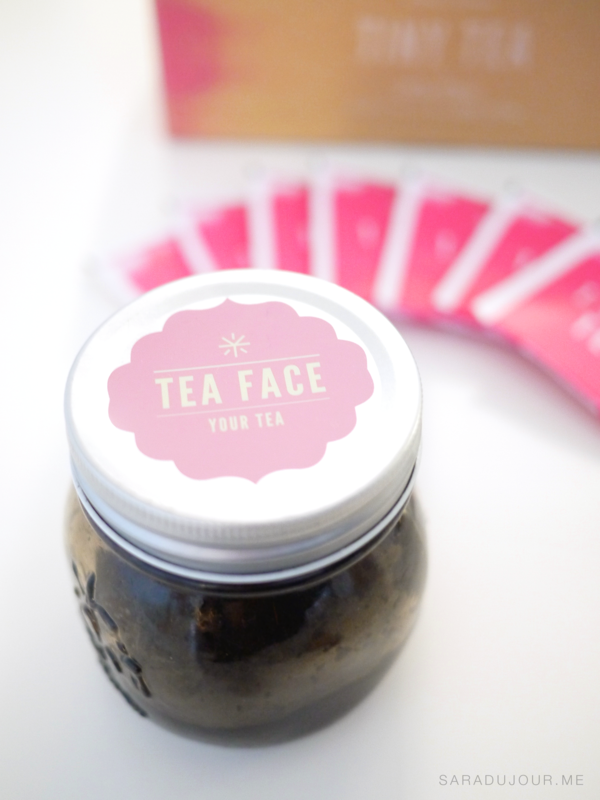 Tea Face is a facial scrub and mask made with all-natural ingredients like cold-pressed coconut oil, TinyTea granules, and essentials oils (rosehip, patchouli, jojoba, and ylang ylang). In fact, it’s so natural that you need to stick it in the fridge so it stays its best. 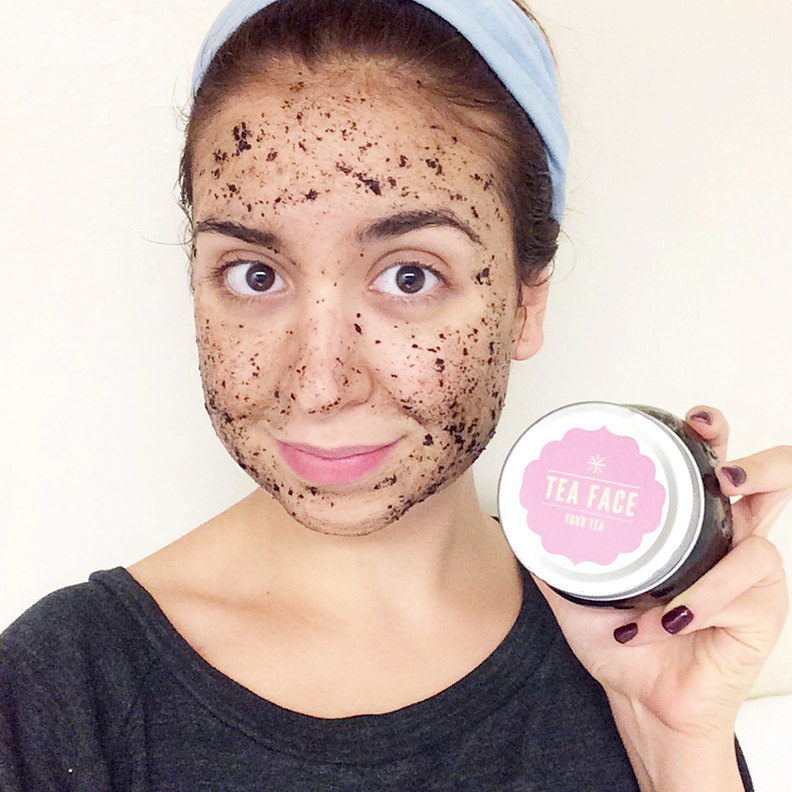 Tea Face exfoliates, nourishes, and hydrates your skin, making you glow. Supposedly it can even help heal scars and even out your skin tone. It’s safe for sensitive skin, too, which is good news for me. It’s the strangest-looking (and feeling!) face mask I’ve ever used. Make sure you apply it over a sink, because it gets messy. And don’t forget to take a silly selfie that looks like you got into a mud fight! This tea is the perfect fall drink. It’s warm, soothing, deliciously autumnal, and helps with relaxation, digestion, and sugar cravings. Steeped without any additional ingredients, it’s a little bit sweet, and the notes of apple, cinnamon, and almond certainly come through. 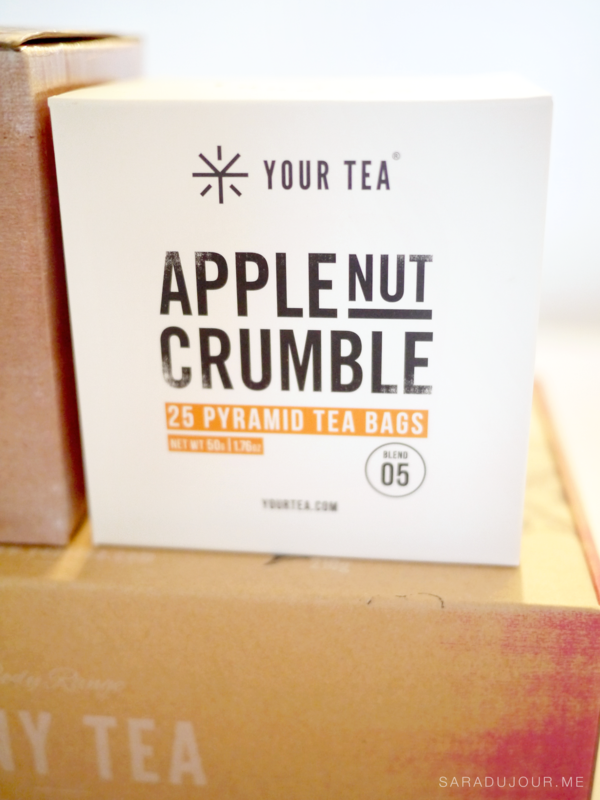 Each box comes with 25 pyramid tea bags, containing bits of the ingredients you can actually see. As soon as I opened the box, the divine scent hit me. I’m snuggled up with a mug of this right now! The facial scrub and mask sounds amazing! I love to use beauty products that have all-natural ingredients! as a tea lover and insomnia victim I must ask what did you think about the sleep tea? Does it help? Hi Suya! I’ve tried the sleep tea a few times, but honestly haven’t seen any real results to speak of. Sometimes I doze off afterwards, sometimes I don’t. It’s hard to say what’s due to the tea, and what’s just a coincidence, to be honest!